We live in small worlds. Conscious change requires deliberate effort, and so, for the most part, we avoid it. But what happens when something occurs, from within or without, that changes all that? The first book in the mesmerizing How To Live trilogy, How We Are examines how we negotiate change in our everyday lives - the way we build personal narratives around the people, places and things that surround us, and what happens when our story is disrupted, whether by small acts or profound change. 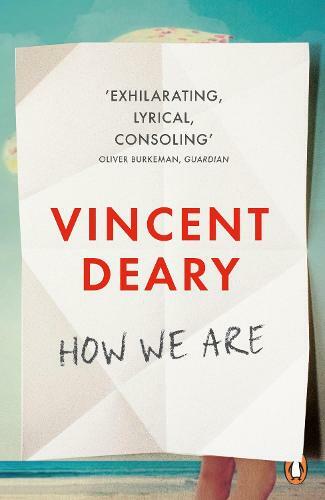 Drawing on personal stories from everyday lives in transition, and a staggering range of literary and cultural references, from Rebecca to Mad Men to Proust, Deary shows us how we can resist being mere habit machines, and make our acts and our lives more fully our own.